No other way to remove or tighten leaking collar nuts. Now there is an affordable tool available for tightening and removing the pre-chamber collar nut on older Mercedes Diesels. Designed and manufactured by Kent Bergsma, this is a tool every diesel owner/enthusiast should have in their tool box. Loose collar nuts are becoming epidemic on these old engines leading to air and fuel seepage around the base of the fuel injectors. They tend to loosen over time, especially when removing previously over-torqued fuel injectors! This important collar nut is torqued to between 100 and 120 foot pounds to provide the proper seal between the pre-chamber and the cylinder head. There is no way one can put that amount of torque and a twin notched nut like this without using some type of clamp to secure the socket to the nut. This prevents the socket from "jumping" out of the notches during tightening or loosening. The threaded insert part of the tool is screwed down into the pre-chamber. The socket is then set in place and tightened down onto the collar nut tightening the small nut on the end of the threaded insert. 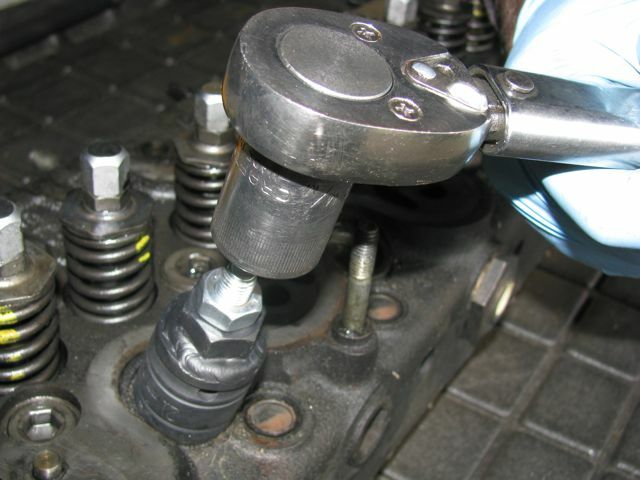 With the notched socket seated tightly against the collar nut a 22 mm or 7/8 inch socket and torque wrench is used to tighten or loosen the collar nut. In most cases just tightening the collar nut with solve most pre-chamber leak problems. IMPORTANT REMINDER: This tool will only tighten and remove the collar nut. It WILL NOT remove the pre-chamber. If tightening the collar nut does not solve your leak problems, then you may have to remove the pre-chamber to install a new sealing ring under the top lip of the pre-chamber. Pre-chamber removal tool is available separately. Look below to order. 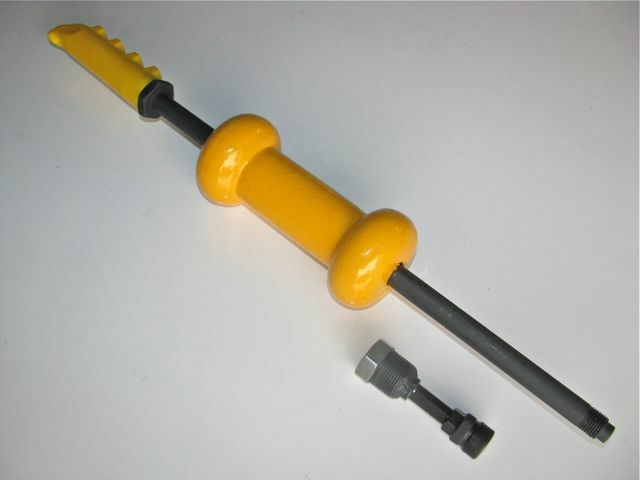 You will also need a 1/2 inch drive torque wrench to properly torque the collar nut. UPDATE: Now with major modifications to increase thread and pull strength (see video below). This is one of the tools you will need to remove stubborn prechambers. Excellent used pre chamber as shown for OM 617 turbo diesel engines ONLY. 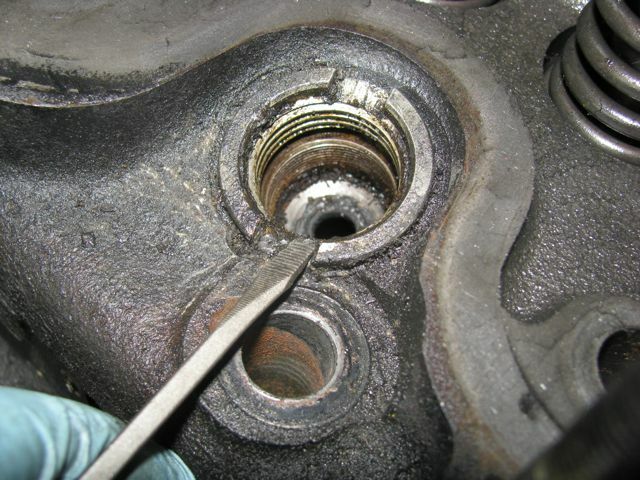 If your diesel engine is running rough with excessive smoke and you have tried everything else it could be your engine's pre-chambers are damaged.